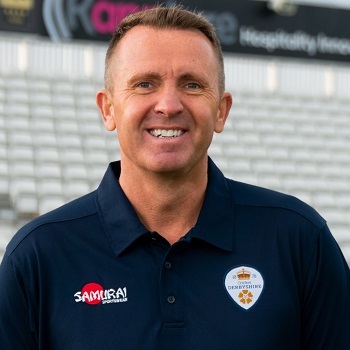 Enigmatic and a born winner, former Derbyshire and England all-rounder Dominic Cork has re-joined the club as Twenty20 Head Coach for this summer’s Vitality Blast. 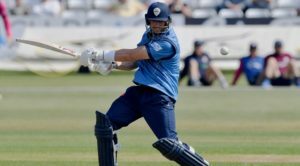 Cork will return to Derbyshire after spending 13 years as a player at The Pattonair County Ground, during which he captained the side from 1998 to 2003. 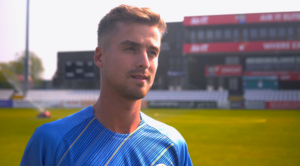 He has also been a key figure at Derbyshire during the last two seasons as Specialist Twenty20 Bowling Coach, helping the club to its first ever home quarter-final in 2017. The 47-year-old made his first-class debut for Derbyshire in 1990, and went on to take over 500 wickets at an average of 25.76 with best innings figures of 9-43. 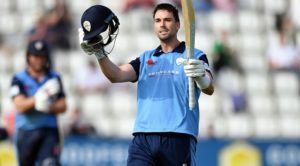 Cork also performed well with the bat for Derbyshire, scoring nearly 6,000 first-class runs as he recorded 35 fifties and five centuries, including an unbeaten double-hundred against Durham in the 2000 season. His performances for the county helped to gain recognition from the international set-up, as he made his debut for England in 1992 in an ODI against Pakistan. The all-rounder then was called up to the Test side three years later, where he took 7-43 against West Indies, the best figures by an Englishman on Test debut and a performance which typified his style. Following his emphatic introduction into Test cricket, he was awarded the Wisden Cricketer of the Year award in 1996, before he went on to play 37 Tests in total, taking 131 wickets and notching over 850 runs. No stranger to success in the shorter format, Cork became an instrumental figure towards the end of his playing career with Hampshire, captaining the side to the 2010 Friends Provident T20 title. He now returns to the club to reunite with Head of Cricket Dave Houghton and assume coaching duties for the Vitality Blast campaign, which begins against Yorkshire Vikings at Queen’s Park in July. Welcome back to Derbyshire, Dominic.